Hello and welcome to the daily transfer news roundup for Barcelona! Today's top stories feature Marcus Rashford, Willian and updates on prime targets like Antoine Griezmann and Matthijs de Ligt. Here are the top transfer news and rumours of the day surrounding the Catalan giants! Antoine Griezmann dramatically announced his desire to stay at Atletico Madrid last month, after he was linked with a move to Barcelona throughout the summer. The French forward extended his stay by signing a new contract and his release clause will be dropped to €120 million. Despite Griezmann expressing his decision, the rumours persist but Barcelona president claimed that the transfer is now off the table. "I want all the great players to play in La Liga." "It was his decision. If he tells us he wants to come? We would have to speak with the coach, but Griezmann's not on the table right now. 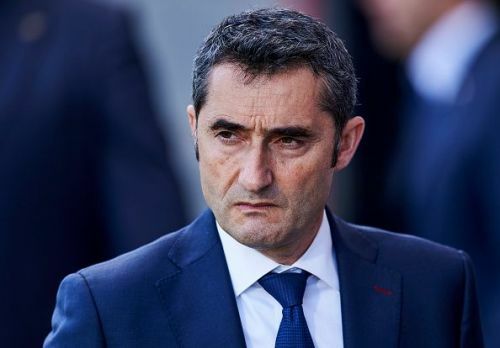 He has not called Barça." "There are several teams that want him. It seems he will be on the market and depending on what the coaches say, we will decide whether to get involved. He's a great player and would fit in at Barça." After having already secured Frenkie De Jong, de Ligt's teammate, in the January transfer window, the Blaugrana hierarchy are reportedly in pole position to close the deal for de Ligt. The Catalan giants are confident that the Ajax defender will choose Barcelona, just like his teammate. De Ligt has consistently proved his potential for Ajax and Netherlands against tough opponents like Bayern Munich, Real Madrid, and Germany. It is rare for a player of his age to captain a team but de Ligt's Ajax are still treble contenders just like Barcelona. Barcelona president Josep Maria Bartomeu, also opened up about reportedly unsettled Brazilian star, Philippe Coutinho. "It's not possible for Neymar to come to Barcelona as we have another sporting project with Dembele and Coutinho. Coutinho is an excellent player and he has the coach's confidence. He has a contract with us and he will remain at the team, unless they meet his release clause." said Bartomeu.